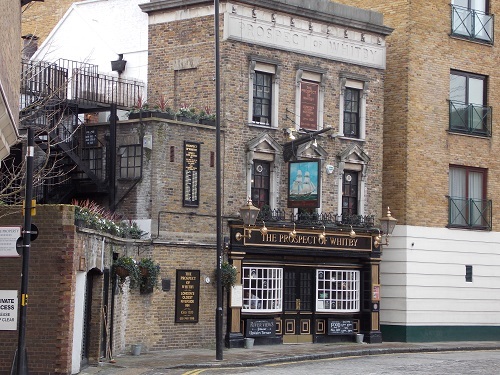 The Prospect of Whitby in Wapping is one of the most famous pubs in London, its origins was a simple tavern on the site in 1520. 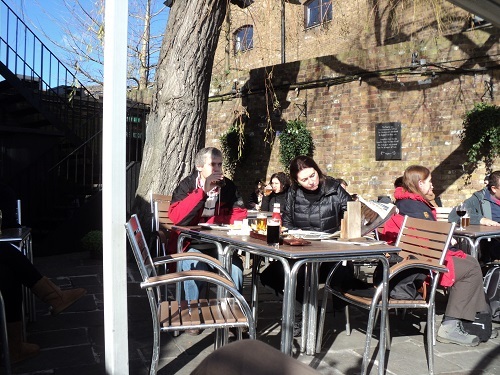 However it was in the 17th century that it became known as a meeting place for smugglers and river pirates, it was at this time known as the ‘Devil’s Tavern’. It is also claimed that patrons watched the hanging of pirates at the nearby Execution Dock from its balcony. 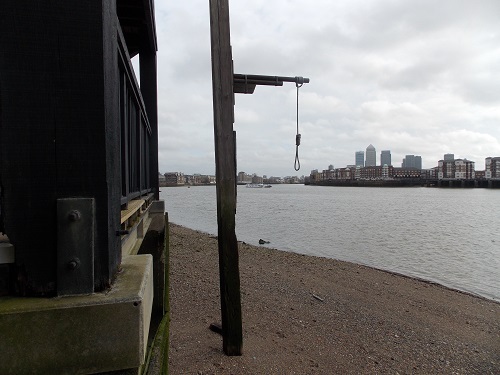 In recognition of this claim there now stands a noose and gallows outside the back of the pub overlooking the Thames. 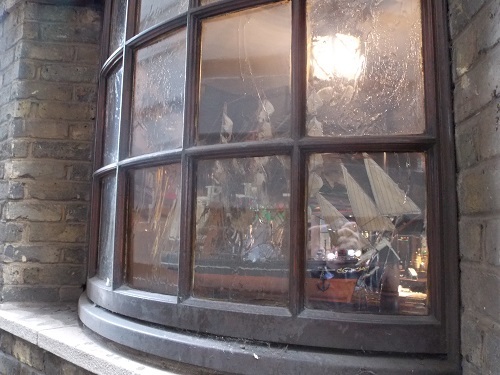 In the 18th Century the Devil’s Tavern burnt down and the tavern was rebuilt and renamed the ‘Prospect of Whitby’ after a ship that was moored nearby. 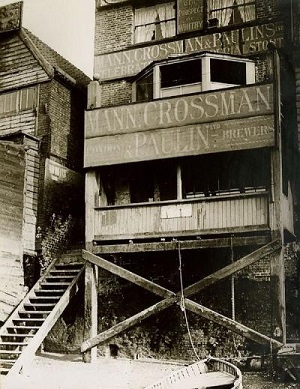 In the 19th century it became a place where artists used for a vantage point for their paintings of the Thames, Whistler and Turner amongst others painted many pictures of Wapping. 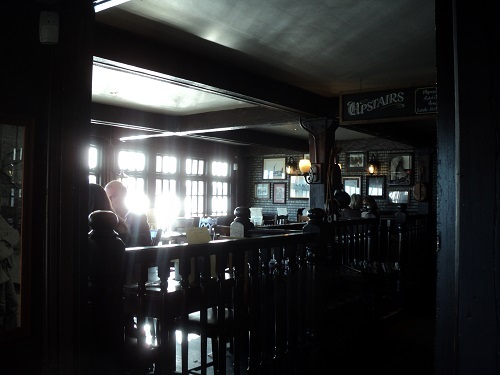 Famous customers have included Samuel Pepys and Charles Dickens, however in the 20th Century it became the pub of choice for many celebrities and famous people. In the 1950s Princess Margaret was a regular visitor and the pub became a regular stop on the tourist trail. It is still very popular and caters for a wide range of clientele, perhaps not the old river workers or seaman who once plied their trade on the river outside but a nice variety of visitors. 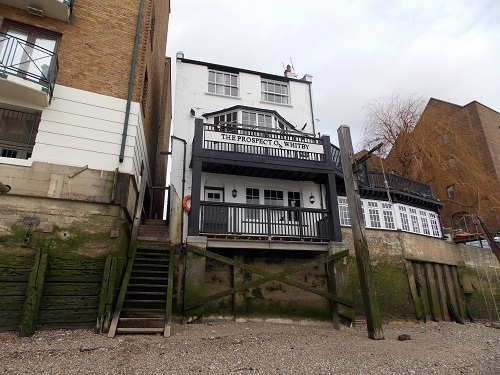 Although the pub building is mostly 18th century, its original flagstone floor, wooden barrels, pewter bar, odd shaped alcoves and large terrace with great views of the river are very atmospheric of days of smugglers and pirates. The pub is owned by the Taylor Walker who offer a wide range of real ales and serve mostly standard British fare such as Fish and Chips. By londonvisitors2014 in Pubs of London on February 25, 2014 .